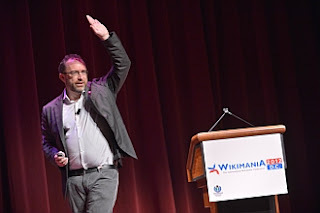 WASHINGTON (AFP) - It is another defining moment for Wikipedia. The public knowledge website is more than a decade old and remains among the top 10 Internet sites in the world, but some say it is becoming old and dowdy. Others want to keep it that way. At the 'Wikimania' event held in Washington held over the past week, several hundred members of the 'wiki' community gathered for talks about the site and a two-day 'hackathon', aimed at improving Wikipedia. Some in attendance said Wikipedia, the free, open-source online encyclopedia which is largely unchanged from when it began in 2001, needs upgrading in an era where people are turning to social media like Facebook and Twitter.